Since designers are a pretty vocal bunch on the subject, there are many debates about crowdsourcing. Trying to make sense of it all can be more daunting than trying to catch a greased pig. Let’s look at it from several angles, shall we? The term “crowdsourcing” came from an article written by Jeff Howe in the June 2006 issue of Wired Magazine. When someone shifts a project from the hands of one capable individual or creative team to capable masses, that’s crowdsourcing. Crowdsourcing allows businesses to solicit the best ideas from a community. Usually through a voting system or a strict set of criteria, the business can separate the wheat from the chaff. By rewarding the great ideas, eventually all submissions will become better. It’s considerably less expensive than hiring a freelancer or creative team. web service, the company can put forth a contest with a prize to motivate the crowd and still come in costing less than the traditional route. Everyone has an ego, and businesses are no different. By using a strict set of rules for the crowdsourcing project, the business can maintain control of the finished project and maintain their original vision. Some businesses just don’t know that spec work and crowdsourcing are evil and counter productive. These businesses end up using crowdsourcing services multiple times or use their “kill clause” to terminate the contest because they aren’t satisfied with the outcome, resulting in no one getting paid. Sometimes, even if a company knows that crowdsourcing isn’t fair, they still engage in it because of the price. In their minds, if (and that’s a big if) they can get a quality product for a cheaper price, they are saving money. Crowdsourcing is a hip, fashionable buzzword in the business world, just like Web 2.0 or cloud computing. It portrays their business as being modern. Big companies utilize crowdsourcing as much as smaller companies. By having the best idea, an unknown designer can quickly make a name for themselves. Besides the recognition, money is always a motivating factor. What designer doesn’t want more money? For a few hours of work, a little extra cash can (potentially) be made. Most of the designers who engage in crowdsourcing contests are fresh out of college or have only been designing for short period of time. These contests are an easy way to pad a portfolio and to make a portfolio more interesting for prospective clients to look at. Some designers don’t know that spec work is wrong. They are either just starting out or are hobbyists looking to make side cash without much commitment. Then there are the really good designers that usually win the contests. These talented individuals usually don’t like the rigor of a client/designer relationship and would rather throw it all out on the table. There are designers out there are great, but they don’t know it. They undervalue their work. They enter these contests as a way to make money without charging the rates that they deserve. Who Does Crowdsourcing Hurt the Most? Does it hurt the designer who can’t get work because companies are using crowdsourcing websites to get their sites and logos made? Does it hurt the participants of crowdsourced projects? Or does it hurt the companies/businesses that use a crowdsourcing model? The short answer is that it hurts everyone. Without the normal client/designer interaction, a project is just a jumbled, one-sided affair. While good things can be produced from just the client’s brief, truly great things come from the reciprocal relationship between a client and designer. Usually the general public only hears about the virtues of crowdsourcing, while the missteps and blunders get swept to the side. receiving end of one of those blunders. 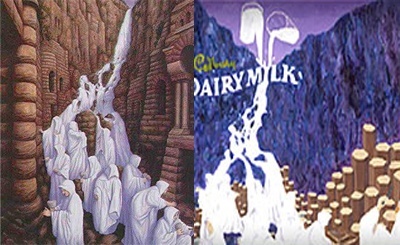 Cadbury initiated a campaign to have “the crowd” design the wrapper for one of their products instead of the traditional approach of hiring a professional design agency. It wasn’t until a winner was announced that it was concluded that the winner of the contest had plagiarized their submission. Cadbury had made a mistake. They had to retract their statement about who actually won the contest. 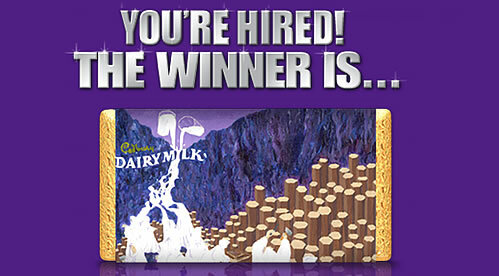 Would this have happened if Cadbury went the traditional route of hiring a designer or an agency? Probably not. 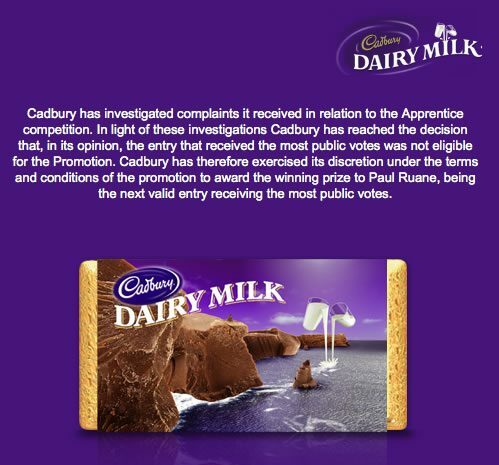 Will Cadbury use the crowdsourcing model again? Definitely not. By participating in crowdsourcing, you not only hurt yourself, but also the industry as a whole. Crowdsourcing hurts designers by asking them to design work that may not be used. They put in the work and their ideas, but very often never get a cent for their efforts. This is known as “spec work”. This is different from design mock-ups in the fact that a client pays the designer to create mock-ups. With spec work, no money changes hands. Essentially, designers work for free, hoping that their design gets picked so they can get paid. If an uninformed business wants a logo made, who do you think they will pick: A crowdsourcing website that guarantees them a logo for $99 or the designer who charges a lot more than that? Crowdsourcing devalues the heart and soul of the art being made by the designer. Crowdsourcing hurts the community as a whole by perpetuating a mindset in businesses that designers are merely a service that can be bought for the cheapest amount possible and not skilled professionals whose time, effort, creativity, and ideas are worth compensating. Crowdsourcing also hurts businesses that participate in them. When paying a designer, the client is also paying them to oversee the project to make sure it falls into budget and timeframe. With crowdsourcing, someone has to oversee the contest usually at the behest of other duties. It also becomes costly when you end up with a design that needs to be redone by a professional. Another way crowdsourcing becomes costly is if a plagiarized design is used. Sure, there are safeguards within crowdsourcing to avoid this, but the whole crowd can’t be held accountable. Let’s use the Cadbury example from earlier: What if the design had made it to the printer? Thousands of these images would have been made and paid for, not to mention any sort of litigation of the copyright holder. A design is rarely 100% correct the first time around. It takes communication between client and designer. If a minor revision needs to happen, it may take weeks instead of what could normally take one designer a few hours. Since the crowdsourcing contestants are trying to impress the client to win the bid, they are less likely to pay attention to functional requirements. By engaging in crowdsourcing, the business is only limiting itself to the flashiest work of a contestant. This may be fine if your business needs a logo with a lens flare in it. After a certain point, designs that are entered in a contest are just interpolations of the first few original designs. So If Crowdsourcing is So Bad, Why is it Still Used? That’s like asking why people still eat junk food: junk food’s bad, but the temptation is hard to resist. Crowdsourcing is still around because it’s perceived as a cheap means of producing a good product. Designers keep participating in crowdsourcing because they perceive it to be an easy way to get a paycheck, even if it’s a not guaranteed paycheck. If you believe designers and businesses shouldn’t participate in crowdsourcing, here are things you can do to help. Educate clients and aspiring designers alike. I personally wish someone was there to show me the evils of spec work when I was starting out. It’s not hard to set someone straight by having a quick conversation and then pointing them to reading material about the subject (like the one you’re reading now). Show the added value in your services, and the prospective client won’t even think about crowdsourcing. and let your personality, passion for the craft, and intelligence shine through. the crowdsourcing model can’t replicate. We learn by experience. Sometimes we forego the route of experience, instead settling on the wisdom of others’ experience. If a client wants a lower price or thinks they can benefit from crowdsourcing after you have said your piece, let them walk away. Unfortunately, they’ll have to learn the hard way. You’ve already established yourself with them as a knowledgeable source of information and when it all goes pear shaped, most likely, you’ll be the first person they will call. Is Crowdsourcing Here to Stay? Will crowdsourcing ever go away? Probably not. It will most likely rank up there with the “my kid sister can design that” jokes and the other hurdles we have to overcome. light bulb turn on in a young designer or client’s mind is priceless. By showing your personal passion for design and your clients’ projects, the “creative fire” that burns in us all gets passed from designer to client, from client to product, and from product to customer. That’s something that crowdsourcing can’t hold a candle to.